Knowledge is most valuable when it can be applied. With a diverse, rigorous curriculum that fosters independent thinking and the pursuit of individual interests, La Salle College High School sets you on the route to academic excellence - and to your greatest potential. Here, paths are not followed, but rather blazed by those who seek to lead by accomplishment. An education of quality is a journey where all roads lead to distincton.For over 150 years, La Salle College HIgh School has provided a college preparatory education for young men in the Philadelphia area. La Salle students are taught to be critical thinkers who are well prepared academically, able to communicate effectively, and lead confidently. La Salle College High School's curriculum is faith-centered, academically challenging, and designed to prepare young men for the future. 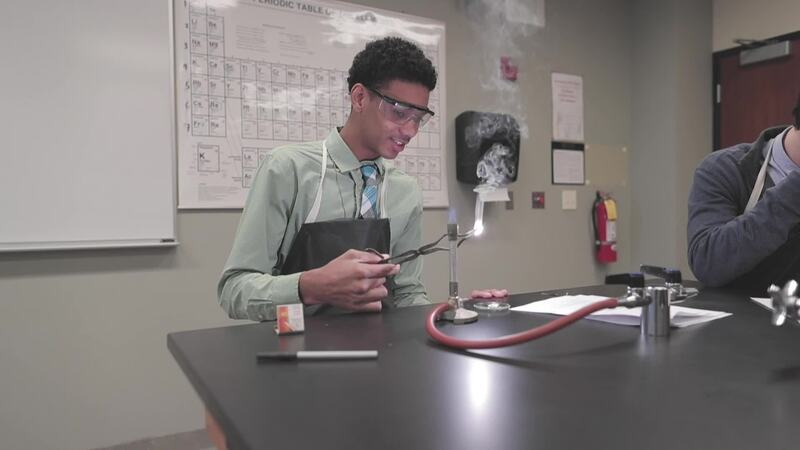 Featuring a wide variety of electives, our college preparatory program of studies is designed to challenge students to realize their academic potential. La Salle provides many programs to support students with the challenges of a college preparatory curriculum. The David Program is an outstanding program which provides additional support for students with learning differences. The National Honors Society has a strong tradition of pairing students in peer-to-peer tutoring for specific academic subjects. Academic Departments now have Resource Centers which provide additional assistance from faculty members throughout the school day. La Salle also maintains a strong tradition of grade level counselors monitoring academic struggles and helping to identify appropriate means of support. From March 4th – 8th, La Salle will be celebrating our 2019 World Language Week with various on campus activities. Ten Explorers competed in French, Chinese and Spanish with four receiving medals.